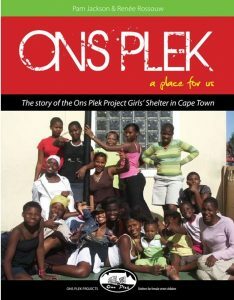 NOSIPHO admitted herself to Ons Plek on 1 February 2002 after running away from home and spending a few days on the streets. At the time, she alleged to have run away from home because her mother was abusing alcohol. Nosipho’s parents are both unemployed and the family suffers great financial difficulties. The adult children are unable to provide for the family as they too are unemployed, thus adding to the family’s financial burdens. Nosipho has a good relationship with her family. Nosipho regularly visited her parents for weekends since her family moved to a safer area. Nosipho cherishes the time she spends with her family, but was very disappointed when her mother took a drink on weekend when she (Nosipho) visited there. Nosipho was angry with her mother, but has worked through this feeling. Nosipho is rebuilding her trust in her mother and was very happy that her mother apologised for having been drunk and did not just pretend that she did not drink. August 2004, we met with the mother to discuss Nosipho returning home. It was decided that Nosipho would go home every weekend and holiday in preparation for permanently returning home. Nosipho returned home mid-December 2004. During 2005, Nosipho came to Siviwe four days a week after school to be part of our homework programme. Home visits were also conducted to monitor the placement. During August 2005, Nosipho disclosed that her mother regressed and she requested to be re-admitted. Nosipho was embarrassed to return to Siviwe. She maintained contact with her family by visiting on Sundays. November 2005, Nosipho’s older sister from A…, invited her for the holidays with the possibility of permanent placement. Nosipho spent the festive season with her sister in A…. and returned to Siviwe in February 2006, as she did not adjust. In the past, Nosipho was easily influenced by negative peer pressure. This became evident in the change in her behaviour when she became involved with bad behaving friends. Nosipho was progressing at Secondary School and she started working at a Shoprite Supermarket during December 2006 school holidays and continued working weekends when the school reopened. We were proud that she was coping with school and saving towards her future. Nosipho turned eighteen in November 2006 and we needed to get permission to keep her at the Children’s Home. During 2007, Nosipho continued receiving counselling and we focused on the positive changes that she has made, although the family circumstances did not improve. By the end of 2007, Nosipho felt that she was ready to return home, as she was older and in a better position to protect herself. At this age, she needs to prepare to live on her own or to return home. She has chosen the latter. Our efforts will now be on supporting her while she deepens the process of phasing into family life from weekly and holiday visits to permanent residence at home. Nosipho returned home in December 2007. When schools reopened in 2008, we granted her a bursary for school fees, bought her school uniform and other educational requirements. We continue to offer counselling services and educational support.